TBR — (Las Vegas, NV) – April 5, 2018 – The Indie Rock Lounge Live event during the 2018 Stellar Awards week was nothing short of Stellar. 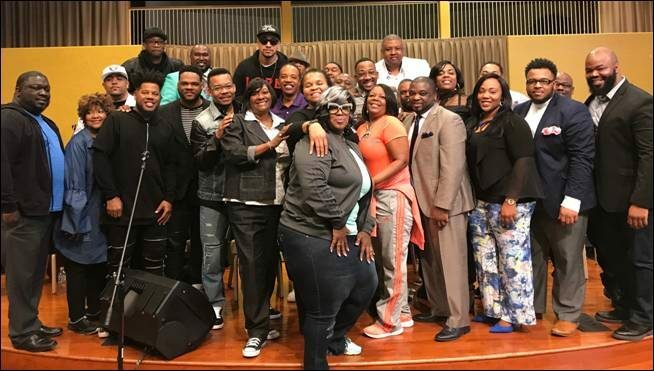 Held once again at God’s House International, 1072 Bartlett Avenue, Las Vegas on March 23rd at 10am, attendees flew in from all over the country to grace the stage hoping for that next big break. This years amazing power panel lineup of talented professional and Music Executives also represented some of the best in the business. From the East Coast to the West Coast, they all came offering inspiring, uplifting and informative words for the many independent artists pushing to get to the next level. 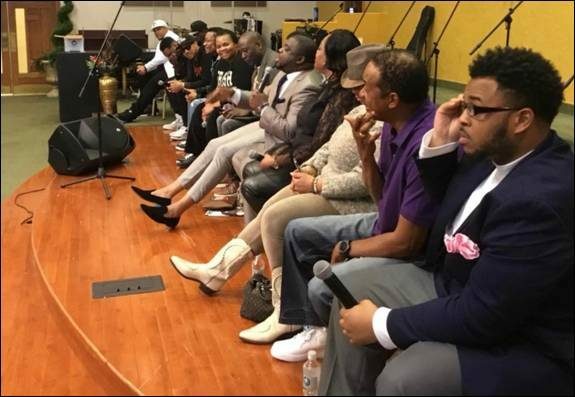 The annual event, birthed through visionary LaShelle LaLa Crump, who is also known for her ever popular “Let’s Talk Gospel” Conference Calls and events, included an amazing panel discussion, and music showcase that gave everyone an opportunity to shine. This year’s panel guests included Jalil Brown, Stan Jones, Lonnie Hunter, Sheilah Belle “The Belle”, Marquis Jelks, Neily Dickerson, Mark Ballard, JeeMell Green, Morgan Turner, Emcee Nice, Ron Biggs, Enayshia Thompson, Kevin Kelley, Bonita Bellemy-Kelly, Tyrone Porter and Alphaeus Anderson. This year’s list of performers was also just as strong including the Virginia Aires, Monica Lisa Stevenson, II Sherwin Gardner, Laos in Harmony, Kara-Nicole Robinson, Tony A’Saun Saunders, Tamika Patton, Jahana Jones, Marquinn Middleton, Corey Weaver, Daniel L. Harris, Keenan Billups Jr., Chester Burke Jr., Jay Locke, Jessica Hitte, Karlos Nichols, Kendrick Evans, Marlon McDaniel, MeMe Johnson, Nadja Scott, Torrence Jerrell Nelson, Nelson L. Roberts, Nick Reynolds, Michael McDonald and many more. In between session, LaShelle informed her guests, that putting together the event this year came with a lot of challenges, but thanks to her amazing core crew of support she was able to push through. As for next year, we will just have to wait and see… even though, the requests coming in are countless for the Indie Rock Lounge to return for 2019.